Google announced Nexus 5X on 29th of September 2015, an updated version of 2013’s Nexus 5 with a fingerprint scanner and better processor. The phone is made by LG like the original Nexus 5. 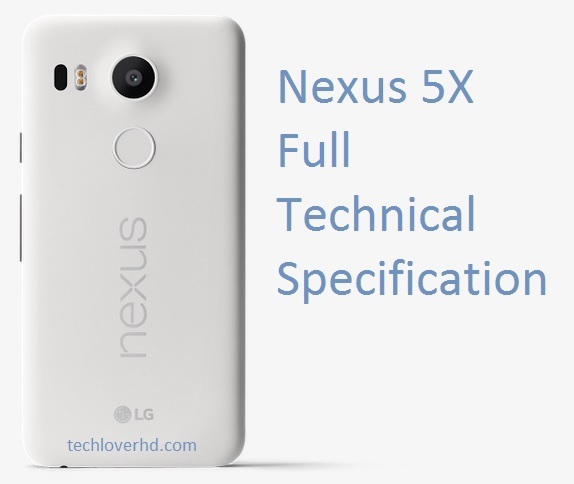 The full technical specification of Nexus 5X is taken from Google Store. The store brings up the specification on the side bar with a smaller space. You can enjoy full specs with more space and can bookmark this page for future reference.